Hitting World of Warcraft: Legion's 110 level cap isn't the end of the game. In fact, it's when the expansion really starts picking up speed, dropping an overwhelming amount of activities on the player all at once. 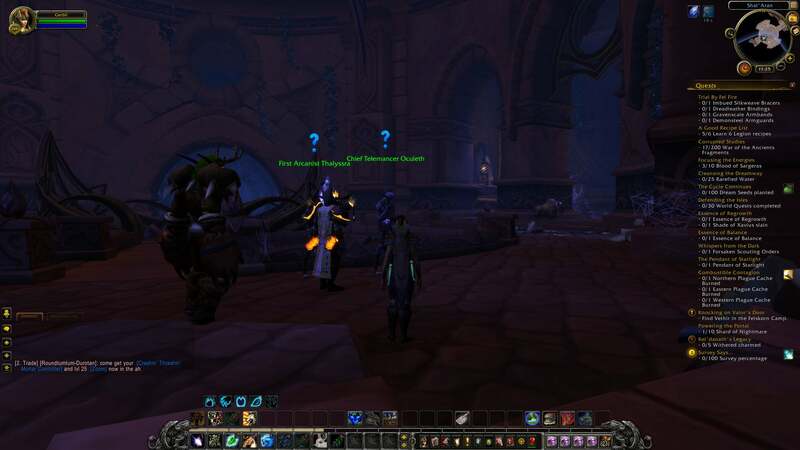 The initial series of quest that take players through four of the expansions new zones, searching for powerful artifacts necessary to stave off the demon invasion of Azeroth are essentially an expansive prelude. 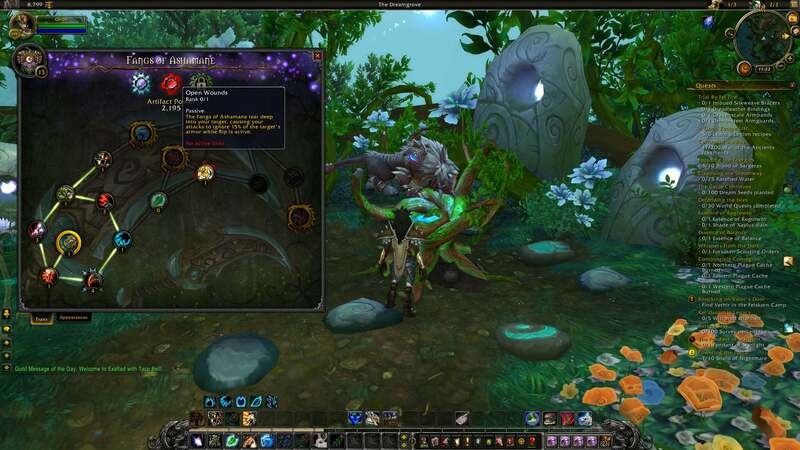 They introduce the player to the characters and factions involved in the ever-growing drama surrounding the titular Legion, expanding the game's mythology while establishing the player's character as a major force in the Broken Isles. 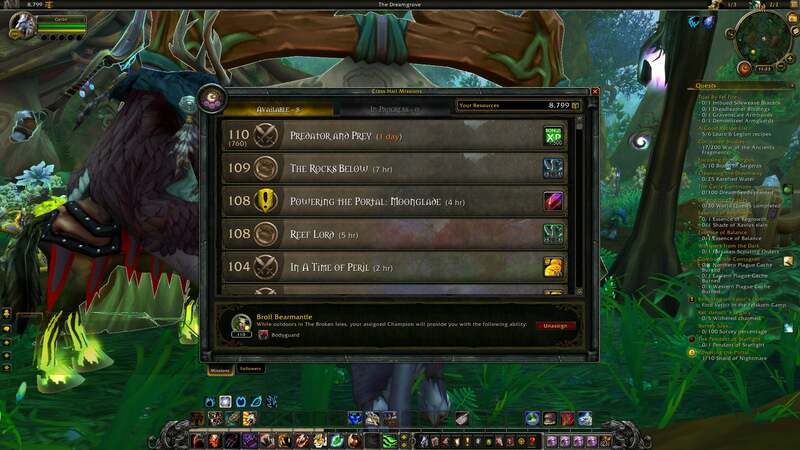 Level 110 is when the class-specific content in the Order Halls really comes together. 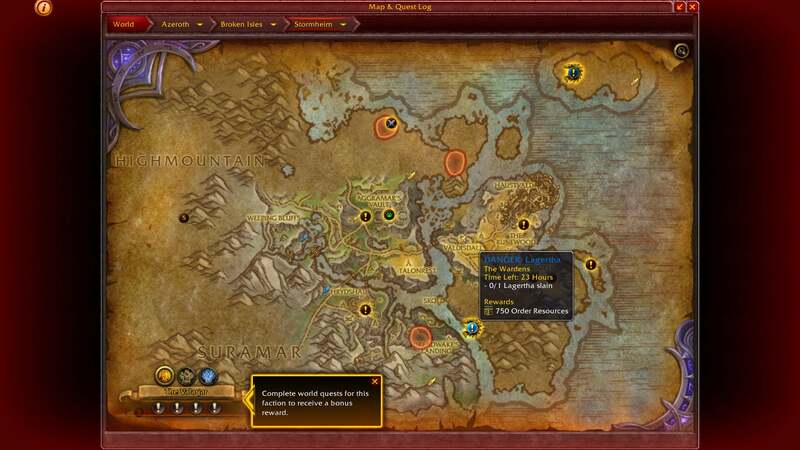 Players have to deploy forces across the Broken Isles in timed missions to gather resources for coming battles. Artifact research opens up at 110, allowing players to spend resources to dig into the background of the powerful weapons they have been wielding and improving throughout the expansion. The research cycle on those artifacts is something like three days of real time. Some of the missions I've encountered on the deployment board require require more than a day of time to pass before fulfillment, though there are methods of speeding them up. Thanks to being a damage character in a dungeon queue that loves tanks and healers, I've still got two dungeon quests to complete for my Order Hall in a series that required me to revisit the four core dungeons added with the expansion. Then there's the entire new zone that opens up at level 110, the lost night elven land of Suramar. The once-great city shielded itself during the War of the Ancients, but blocking out the sun and moon transformed its inhabitants into mana vampires (which would make a very cool character race.) The shield eventually fell to the Legion, and now the player must establish a foothold in the area and help reclaim the land from demons. Why continue playing after hitting the level cap? The Legion expansion isn't really about gaining power through experience. Since all of the world content scales to player level, allowing the four starting areas to be tackled in any order, the ten new levels are there to give players a sense of progress. The real power is in those artifact weapons. I mean look at this. I've only unlocked four of sixteen possible looks for my battle cat. Obviously I have a lot of work to do. So much to do. World Quests, Order Halls, PVP — did I mention I am playing around with PVP? I promise this every expansion and never deliver, but the other day I took my 102 affliction Warlock into a battleground and . . . well, I don't really need to write anything further there. So when someone celebrates hitting level 110 in World of Warcraft: Legion, as I did over the weekend, it's not an ending. It's time for the real work to begin. the legion app is out atm on the android store (I have downloaded it to my s7 ), though I wish it would work and not get stuck trying to connect all the time. But man the amount of stuff you get to do now is ridiculous, just hope the world quests don't get as grindy as the diablo ones. It was broken for Oceanic servers this morning but I was able to log all the way in a little while ago! Currently ilvl 843 Guardian Tank. Done all the mythic dungeons except for the two you unlock with Suramar progression. Finished my class hall quests on Saturday and started the next appearance quest "The Balance of Power" but you need to run the emerald Nightmare raid to finish it so I'm stuck for 2 weeks until that comes out. Easily loving the current pace of content and hope it keeps up. I haven't played WoW since shortly after Cataclysm came out, played for the first 2 months or so and then quit. My favorite times were had in The Blazing Crusade expansion, but WOTLK wasn't too bad either. Based on that do you think it'd be worth it for me to spend the cash and plunge back into WoW? Been quite some time since I've ventured in and nothing I've seen until now has made me consider going back. I have played WoW since vanilla and unless you quit because the game was too complex you probably wont find much to like in the newest expansion. Everything has been dumbed down to a crazy level with the removal of abilities and buffs to make the game more friendly to newcomers. 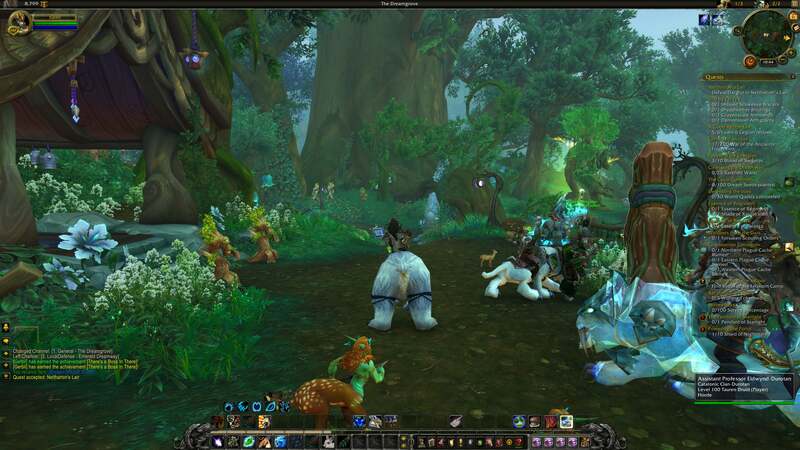 Some examples would be hunter pets, they now are all identical and only differ visually, necks and rings no longer have primary stats on them so that they are interchangable between specs. If you change specs from from one that requires Str to one the requires Int then all the str on your gear automatically turns into int. Raid buffs have been removed, glyphs have also been pretty much removed and gemming your gear is no longer a thing. Very few pieces of gear are enchantable anymore. To know whether that stuff would bother me or not I'd have to play to find out. Hard to say whether that's the bit I found fun or if it was more the path to obtain gear rather than what the gear itself was. The bit about enchantments would make my mage with enchanting pretty useless...Although now that I think about it Tailoring/Enchanting was already less useful in WOTLK. Well apart from those things the game is still pretty much what its always been, the quests are mostly of the same collect 10 bear asses variety. Yeah, hence why I'm reluctant and asking the question. Looks like the base version of WoW includes everything up until Legion now though. I should log into my b.net account and see how much of WoW I could play if I paid for a month...wandering around panderia/draenor content should be enough to tell me if I want to keep going. You can pay with gold now which is nice, I think its around 34k a month. Ah yeah, I remember that was a thing now....no idea how fast I'd earn gold though. That changed with every expansion. I'd say the game is the best its been since Vanilla/BC and well worth another try. 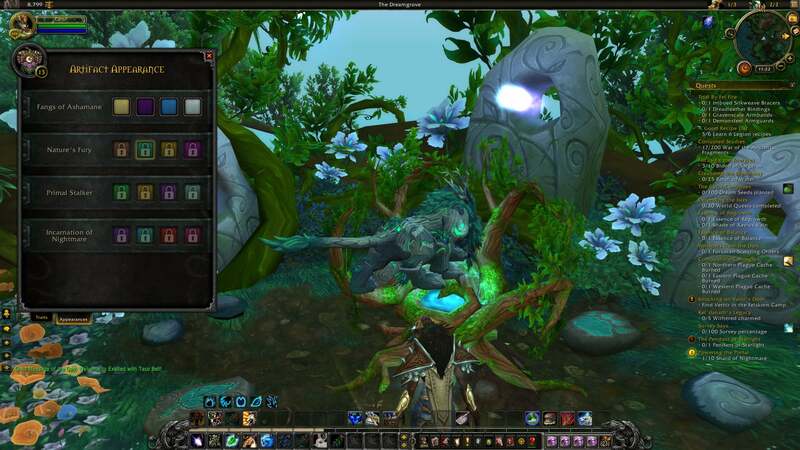 I wasnt a fan of Cata, MoP or WoD. But now? Now it feels good again. If you do get it, use the boost to 100 and jump right into Legion content. @zzzonked yeah, I just read about the secret world boss on Kotaku.US. No doubt the article will show up here soon. Legion seems to be packed with plenty to keep me busy for a while but I'm not sure on the level 100 boost. I've never liked that sort of thing, feels like cheating and I'd have a high level character that I have no connection to. My issue at the moment is lack of cash, can't really afford Legion right now. I could possibly jump in for the MoP/WoD content though as those expansions seem to be included in the base version of WoW. Checked my Battle.Net account and funnily enough the base WoW does have everything up to Legion but my WoW account is locked. That happens every time I stop playing...opened a ticket and will see how it goes.